David Miscavige, Chairman of the Board, Religious Technology Center, has been the driving force behind the worldwide program to expand all of the churches of Scientology to better serve their communities — to not only become islands of sanity and succor where all are welcome, but to also serve as central points of emanation for the Church’s many social betterment programs aimed at eradicating the crippling plagues of illiteracy, immorality, drug abuse and intolerance. 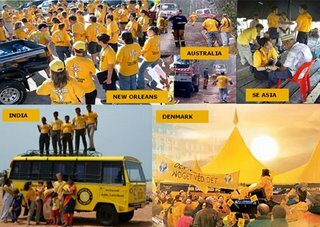 One of the key worldwide programs is the Scientology Volunteer Ministers. Expansion Briefings Aboard the "Freewinds"